Ben Affleck is on the move! The 45-year-old actor was photographed house hunting in Santa Monica on Tuesday, with the help of his girlfriend, Lindsay Shookus. 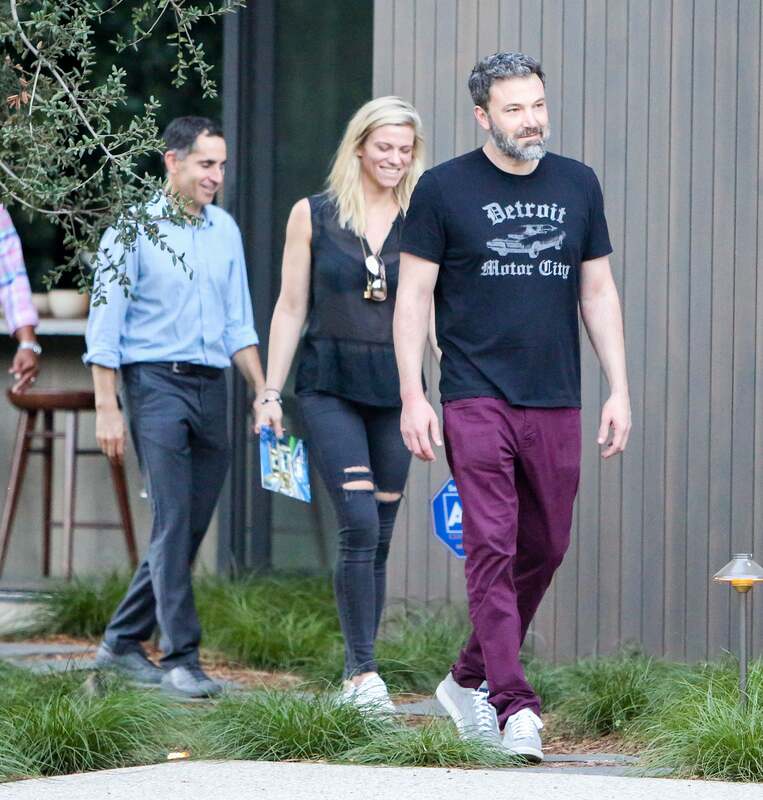 Affleck, who visited an 8-bedroom, 10-bathroom home listed for $18.5 million, looked casual in a black T-shirt and purple pants. Shookus, meanwhile, beat the heat in a sheer black top and ripped black jeans. A source told ET last week that Affleck, who recently took in a stray husky, is continuing to "work on himself." "He's happy," the source said. "Ben is focused on staying healthy. And he's enjoying his time with Lindsay." The couple first went public with their relationship in July, two months after Affleck and Jennifer Garner officially filed for divorce. Affleck and Shookus have since been spotted on many date nights in Los Angeles and New York, with the Oscar winner accompanying his girlfriend to the Emmys last month.